What are cannabis concentrates, and why should you care about them, let alone try them? Besides, maybe you love bud, so why not just stick with that? “If it ain’t broke, don’t fix it” and all that jazz. Trust us, we love dried flower as much as the next person, and we’re not going to talk you out of using bud if that’s where your heart is. Life’s short; you do you! Bud does require a bit of prep work to consume it, and that’s not always convenient when you just want to take a quick hit. Also, flower isn’t always effective at treating certain types of chronic pain. And that might be why cannabis concentrates are so popular. Like the name suggests, cannabis concentrates are products that contain cannabis in a concentrated form. One easy-to-understand example of a cannabis concentrate is an edible. You make edibles by extracting the cannabinoids – marijuana’s active ingredients – from the cannabis plant and into a fat-soluble substance like butter or oil. Once you’re finished, that butter or oil will now contain a concentrated amount of THC and can be used for cooking. Edibles can potentially deliver a far more potent dose than just smoking. An edible that contains 1 gram of pure THC is much stronger than 1 gram of dried flower that only contains a percentage of THC. Regular cannabis users know that their tolerance can grow over time. This is a real problem for medical patients seeking immediate pain relief. You wind up needing to consume higher doses in order to get relief, which can have a real impact on your wallet, your lungs, and your time if you’re constantly needing to re-up your supply. Because concentrates can contain anywhere from 20% to 90% THC, they’re a much more viable option for patients with high tolerance levels. Grinding up bud. Rolling joints. Packing pipes. Whatever the case may be, it sometimes feels as if you need the fingers of a surgeon if you want to avoid getting bits of bud all over the place. With certain concentrates, you don’t have to worry about that kind of mess or any prep work whatsoever. Especially if you have a disposable vape cartridge and battery. All you have to do is screw on the cartridge, and you’re good to go. Speaking of vape pens, do you have family members, roommates, or neighbors who HATE the smell of cannabis? You can use a vape pen without worrying about the lingering smell of burnt bud. Vape pens work by heating the oil inside at a temperature that releases the THC in vapor form. No fire, no smoke. No smoke, no smell! 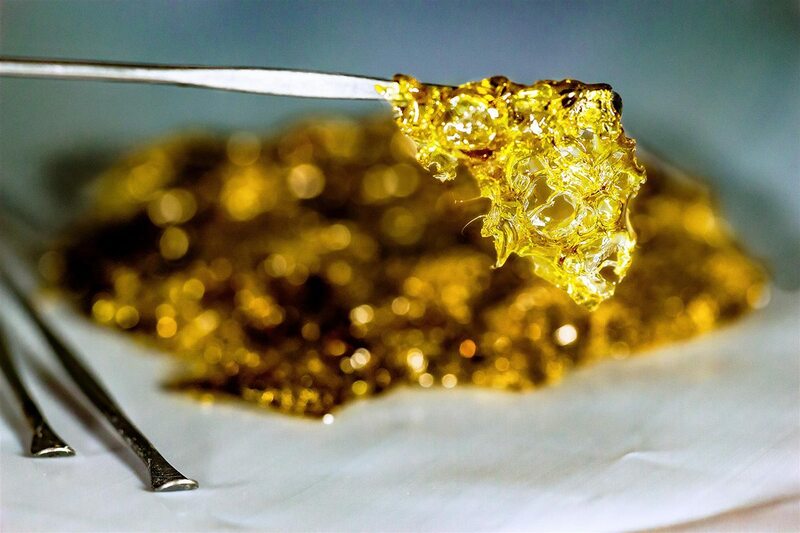 Interested in learning more about cannabis concentrates? Check out our menu, stop by one of our dispensaries locations, and speak with our consultants who can help you find product brands that are right for you!